For a wine lover, hearing about a barrel share at a Kentucky winery with an excellent winemaker was definitely good news. 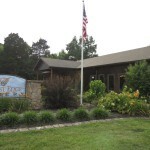 Forest Edge Winery, in Bullitt County, offered shares on a blended red wine this spring. When a person purchases a barrel share at a winery, they are purchasing a case of that wine while it is still in the barrel. During the aging process, there are periodic tastings for those who have shares. Cabernet Sauvignon, Merlot, Cabernet Franc, and Petit Verdot are the grape varieties in this case. 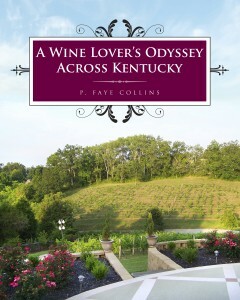 That alone sounded appealing plus the winemaker is one of Kentucky’s finest, Butch Meyer. We were hooked. We had the opportunity to taste the wine for the first time last week and were very impressed and pleased with our investment. Now we are looking forward to the bottling of the wine. Maybe we’ll be able to taste it again prior to the bottling. Forest Edge has a good selection of wines, one of which, a dry Riesling, is my favorite white in the state. Many wineries in Kentucky, as well as other states, make Rieslings, but they are often sweet. This one has a dry and fruity taste, with a straw like color, that reminds me of some of the dry whites from Germany. 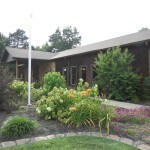 Forest Edge is only about a mile from I-65, just seventeen miles from Louisville. The winery has a delightful tasting room and a choice of wines that has something to appeal to any taste. Their website says “come as strangers, leave as friends.” You will. I certainly recommend this as a wine trip.